I got introduced to Michael Greger MD in 2012 by listening to Rich Roll Podcast 007. After that I started following Dr. Greger's videos on NutritionFacts.org. 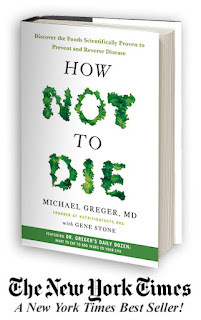 Now there's this new book How Not to Die. I've had the ebook on my iPhone for months, but only now got finished reading it. I knew the book shows how premature deaths caused by chronic diseases can be prevented through whole foods plant-based diet. As I'm already fully following this kind of a lifestyle, why hurry with the book, right? I was so wrong. I found the second part of the book particularly beneficial. I was able to make several simple improvements in my diet that may have huge influence on my health and well-being in the long run. For example, the second strategy to cooking broccoli (video below). Don't only not die - enjoy your healthy lifestyle by being active and happy! The reason I’m interested in that is, while coming from a background of troublesome digestion - I'm trying to find which one could be more appropriate to me. It seems currently there are equal amounts of research & supporters for each of the two and it's pretty hard to decide which one is really the appropriate for me. Your posts regarding nutrition show that you have a great scientific approach to what you are doing & I especially love the fact that you are trying things in real life and testing the results. Lots of thanks for sharing this info! I've tried to find all of the posts that are related to Nutrition/diet and to my understanding, currently you've stopped on a diet plan of whole vegan foods, 80% raw. What I couldn't find is a post in which you elaborate, why you chose this type of diet. Basing on the post "My LFRV days are over" it seems you are quite decisive that this diet is inappropriate for you, yet in "Nutrition check" - you are describing that you are back to 80% raw. I also see you advocate Michael Greger and whole foods in general. Sorry, this came to be a lengthy comment... would appreciate it very much if you could shed some light on this. Thanks for your interest Tom! The trouble with science is you can find some support for almost any health/diet claim if you look for it hard enough - and ignore the rest. However races are a true real life challenge. Only by testing your personal limits can you find out what works best for you. It's true I was on LCHF for almost 2 decades and did pretty well on IM-distance triathlons and other races lasting up to around 10 hours or so. So why did I make a rad change in my diet this decade? The main reason is that my races are much tougher or at least way different these days. I have zero interest in racing on a flat smooth surface. Last year I finished a 204 km ultra trail in 55 hours - with 11500 meters vertical ascend. I've also started to climb all sorts of walls indoors and outdoors. So the key is maintaining low weight and high power. For this purpose I've chosen to eat tons of whole, organic, plant-based foods. I've never claimed to be 100% vegan though. I may well be just that, but I'm not saying it. Also it may not be ideal to aim for 80% raw or something crazy like that. I've learned the hard way that in cold weather and/or high altitudes raw foods may not be ideal because they make you feel frozen to the core. I've abandoned several races for this reason, although I was very fit. Having said that, I love raw smoothies. I hate fried foods but I do steam a lot of veggies. Another reason is that I started to notice some signs of possibly serious health issues. When you are young, you can manage to cope on almost any diet. But when you get over 40 it's not so easy anymore. Most are ready to give up after 50, but not me. I'm just getting started for the next 50 years! 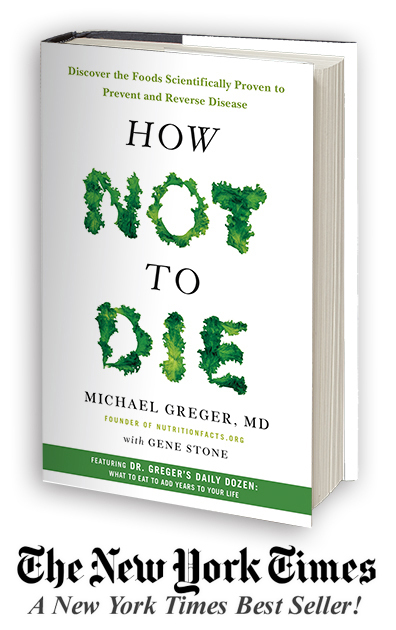 This book by Dr Greger just happens to be the latest I've read. Although I've found his output helpful, I feel it's important not stop and definitely avoid taking any one book or approach too seriously. The only way to find out what suits your personal lifestyle and goals best is to keep on exploring new ideas and possibilities. I'm making some creative experiments all the time. More about those later. Take care and good luck! Thanks so much for the detailed answer :) It's always a please to read your reasoning. Waiting anxiously to hear about your latest experiments & proceeding to my own!